If April has arrived and you’ve found, to your horror, that your accounts are in a mess and you don’t know your incomings from your outgoings, then you may, rightly, be in a panic. However, some business owners, those who work with a proactive outsourced accountant, are looking enviously relaxed and happy, in the knowledge that their year-end was finalised ages ago and everything is taken care of. 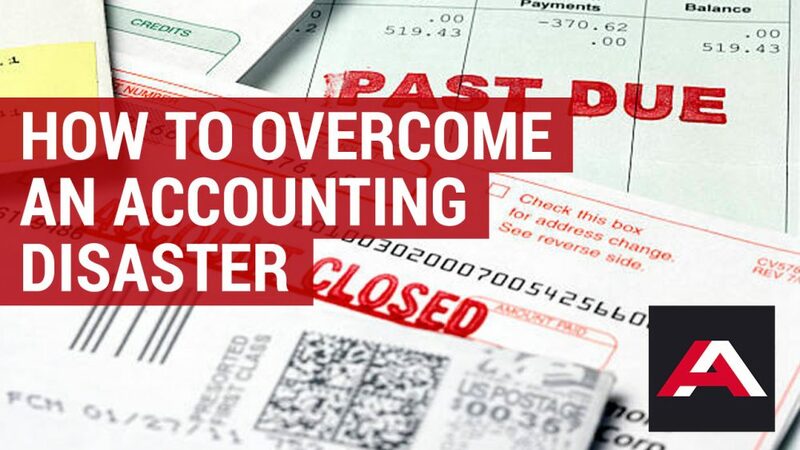 If that’s not you and you’ve either been doing your own accounts or not made the best choice of accountant, help is at hand and there are ways to avoid a year-end accounting disaster. The minute you discover your accounts are in a mess, there are two things you mustn’t do. The first is to stick your head in the sand and hope it goes away. This will only bring you closer to the government deadline and give you less time to get things fixed. The second is to try and unravel it all yourself, when you’re unsure of what you’re doing. This could end up making things more confusing and messy. Find an accounting services company with years of experience and knowledge, who will be able to tell you whether you can apply for an extension (although realistically this is unlikely to be an option) and give you advice on what your options are if you can’t find all the paperwork you need. Both Companies House and HMRC impose hefty fines for late filing and payments. A private company could receive a late filing penalty of up to £1,500 and a public company, a whopping £7,500. (The penalties are doubled if a company files its accounts late in two successive financial years). An outsourced accounting services company that works proactively for its clients will be able to advise you on helpful actions to take in the future, such as good budgeting and a change to online accounting systems. A last-minute approach to year-end accounts is a recipe for disaster, as it leaves little time to source all the information required, to discuss and agree ways of maximising opportunities and runs the risk of filing accounts inaccurately or late and hence incurring a fine. Outsourcing your accounts to a proactive accountant will not only resolve any immediate issues with your year-end accounts but will allow you to get on with the business of running your business, safe in the knowledge that your next year-end will be managed in good time and able to take full advantage of tax planning opportunities and the benefits that good cash flow management brings. Although it is never fun to find yourself in a mess when it comes to your taxes, it can be the wake-up call you need to ensure that aren’t in the same situation this time next year. Changing your accountant is no longer a complicated and drawn-out affair and the sooner you have one working proactively on your behalf the sooner you will be one of those business owners looking smug and content at this time of year.